"Lightning Network on Stellar livenet." 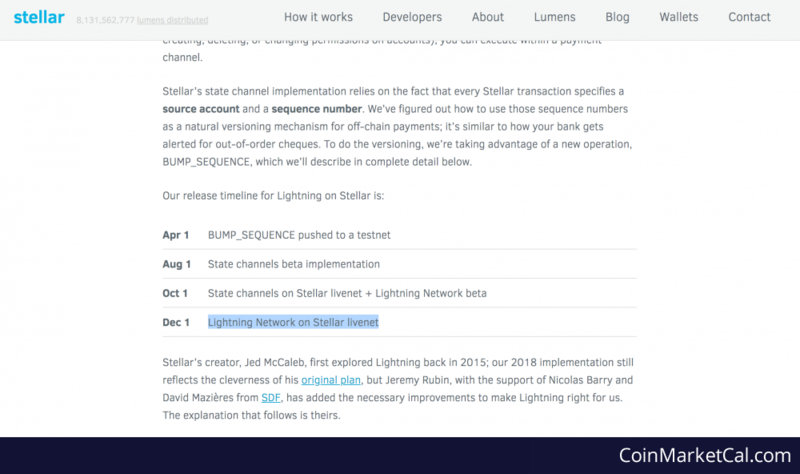 Lightning Network Livenet is a Release event of Stellar (XLM) which was added in CryptoCrawl's database on Apr 7, 2018, According to our source Lightning Network Livenet will happen on 01 Dec 2018. For your reference, source and proof of Lightning Network Livenet has been attached below.